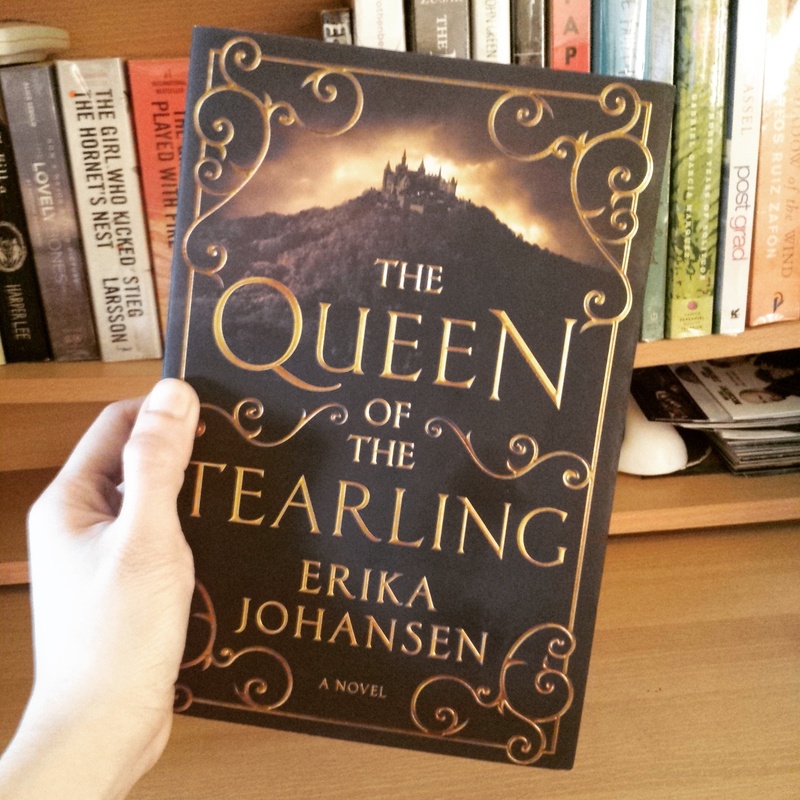 Erika Johansen’s debut novel The Queen of the Tearling is the first book in the fantasy trilogy. The story is about a nineteen-year-old princess, Kelsea Raleigh Glynn and her journey to reclaim her throne as Queen of the Tearling. I read this book over a month ago when a friend of mine recommended it to me though I’ve already seen it in passing at the bookstores and even on my social media feed. When she told me that I had to read it, I said I’ll give it a shot. I didn’t have high expectations when I started reading it since I saw that there were a lot of mixed reviews about the first book. Honestly, I was thinking that this was another YA novel about a girl and a boy who’ll eventually fall madly in love and save the fantasy world, but boy was I wrong. We’ll I at least I think I am, that the story is not going entirely in that direction. Set in a feudal society divided into three fearful nations, who pays duties to a fourth: the powerful Mortmesne ruled by the Red Queen. The story mostly begins with the introduction of how Kelsea ended up being raised in the far neck of the woods and the ominous forces that are looming to harm her once she is discovered. Since I’m not that well-versed in many fantasy novels, I was surprised to see that I was glued to the book the moment I started it. Kelsea Raleigh’s character is the right mix of bravery, wit and naivety. Given that she’s basically just a teenager expected to fill a powerful role in a nation who lives in fear of Mortmesne and which is in neck-deep of corruption thanks to her Uncle, the Regent. Her physical appearance is also described as simple and average, not even striking given her lineage which I think adds up to her internal struggle in proving her worth as the new Queen. Aside from her fight for the Tearling throne which proves to be laden with a lot of obstacles (even her coronation was so action-packed) she’s also coming to terms with who her mother was, the late Queen Elyssa and how she was as a ruler. The story opens up several mysteries to solve which only builds up your curiosity as more secrets and events unfold. For one, the question of who Kelsea’s father is and how her mother died are some of the precursors of the book. Add on the enigma of the Red Queen’s origin, the sources of her power and her relentless pursuit of seeing Kelsea dead. The book is filled the right amount of intensity, action and riddles. The question of whom to trust is ever-present as Kelsea tries to start her reign and win the hearts of her people. There are a lot of characters who will grab your attention and the more you get into the thick of it, the more you’ll question their loyalty and motives. That’s one of the reasons I got really interested in the book, the question of where a person’s loyalty lies and how quick it is to be betrayed and fall within the promises of deception. There are several aspects of the book that turned me off though, like how Kelsea seem to be love-sick with the bandit Fetch but overall I’m quite content with the story and I’m even excited for the release of the second book, The Invasion of the Tearling due to be out in the US on June 9. Of course, I’ll make sure to do a follow-up review once I get my hands on a copy. By far as fantasy novel goes The Queen of the Tearling is a 4 out 5 in my book.